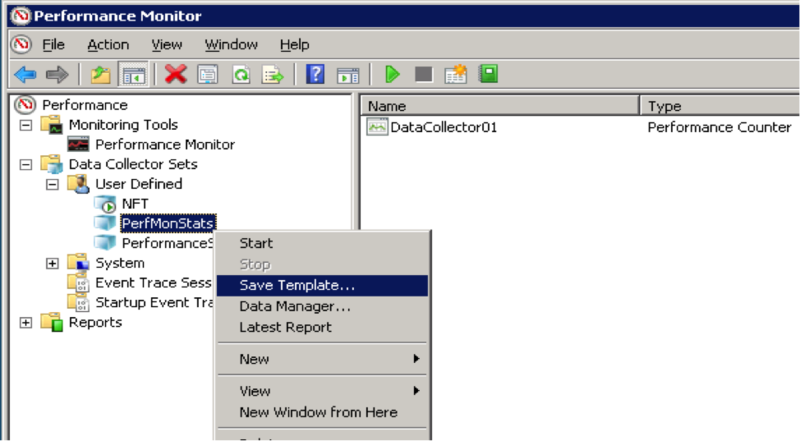 Now lets see how to create a data collector set from a template. Do do this, first we need to create a template from the data collector set that we created in Step 1. Launch Perfmon. Expand Performance tree down to your data collector set, right click on it and select Save Template. In the save dialog box that opens, give the template a name, choose a location to save it and click Save. This will create an XML file with all the details about your template. That’s it!